WORLD OF SWING PROUDLY PRESENTS THE 14TH EDITION! 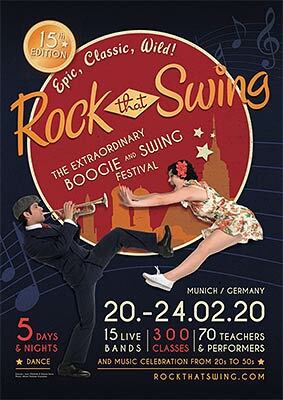 World of Swing proudly presents the next edition of the international Rock That Swing Festival in Munich. 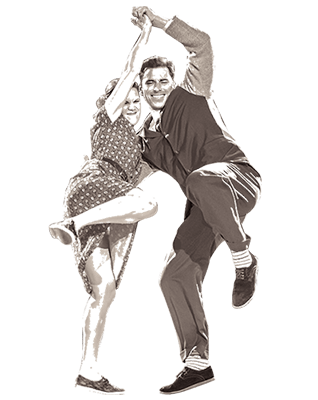 For more than a decade the festival celebrates the diversity of the dances and music of the Swing and Rock’n’Roll era from the 20s to the 50s. Over a span of 5 days, fantastic dance nights, hot live music, shows, competitions, numerous workshops, dance masters from the 30s, and passionate dancers from all over the world create an inspiring and unforgettable atmosphere. 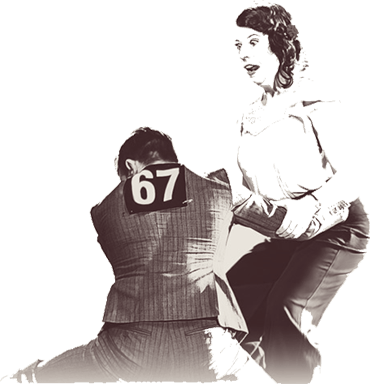 At the Rock That Swing Dance Camp more than 70 of the world’s best teachers give classes during the daytime offering a vast variety of more than 250 workshops in Lindy Hop, Boogie Woogie, Charleston, Balboa, Shag, Authentic Jazz, Rockabilly Jive, Blues, etc. Dancers at any level, from beginner to intermediate to advanced and all the way up to teacher, can create their own individual schedule. 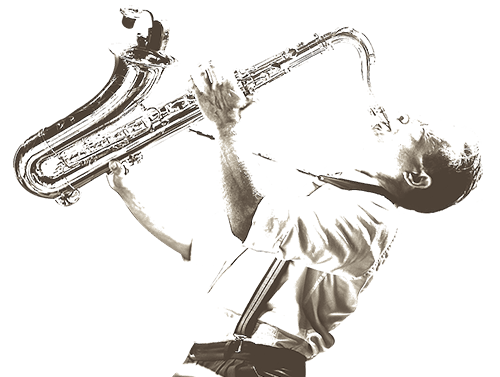 The 14th edition will again offer a fantastic line-up of the best bands and teachers in great locations, including two nights at the marvelous ballroom of the Deutsches Theater in the city center of Munich. We are looking forward to welcoming you to one of the greatest parties of the year. Everyone was very much looking forward to celebrate together with the swing dance legend Jean Veloz her 95th birthday at the Rock That Swing Festival. Unfortunately Jean fell last week and broke her humerus bone in her right arm. She is fine considering the circumstances, but she didn’t get a cast due to age and needs to lay and rest, so she won't be able to come. Her spirit is still good, but she is sad, because she was so much looking forward to the celebration. You can write Jean at Jean@rockthatswing.com or on her Facebook page and send her get-well and happy birthday wishes. We will put out a book for her at Rock That Swing so you can write some nice words for her. Maybe you have a picture of you and Jean to add. If you won't come you can send it to us per email and we will add it.  Online registration ends February 15th!